All you need to know about hair transplant. Have you performed celebrity hair transplants? Looking for hair transplant training? Do you offer hair transplant training? Alvi Armani provides training under our licensing program. Origenere® is a revolutionary new hair and skin care system developed by award-winning hair loss and skin care physician Dr. Antonio Armani. Maintaining follicles involves important hair health steps, especially if genetic predisposition to thinning or balding is involved. People dealing with hair loss gain most from participating in a healthy lifestyle, and pursuing an adequate exercise regime. A healthy body and immune system supports healthy hair. Nutritious foods complemented by sufficient amounts of protein also contribute to healthy hair. 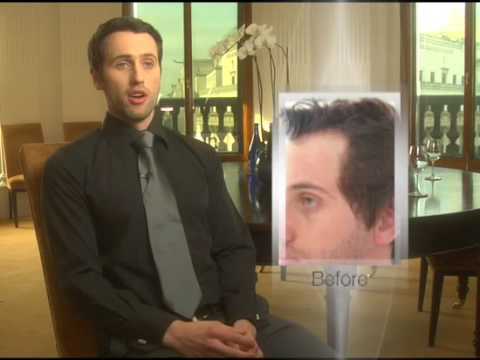 What makes Alvi Armani the best-in-class for Hair Transplant? Why FUE (Follicular Unit Extraction) Should Be Your Foremost Choice To Gain Back Hair? One of the most common concerns among people is thinning of hair. Whether it is a man or a woman, the thinning of the hairline is something that gives everyone sleepless nights. However, these days there are solutions available to fix such types of problem. FUE Hair Transplant is one such technique that has given people new expectations. Dr. Arihant Surana, MD is a well-known hair transplant surgeon who has many years of experience in getting hair transplant done – the right way. He is currently associated with a leading Hair Transplant Center In Chandigarh which is named, Alvi Armani India where he is the Medical Director. Follicular Unit Extraction or FUE is a method in which the follicular units are taken from the donor area of the patient and transplanted into the balding patch. This technique has been introduced in Japan and since then it has become one of the most successful treatments to treat patients suffering from hair loss and baldness. A number of well-known hair transplant clinics in Chandigarh offer FUE Hair Transplant services for those who are suffering from baldness. This system is highly dependent on tools which are used to perform the procedure. To add to that, the skill of the hair transplant surgeon also plays an important role in determining the success of the procedure as a good surgeon will not only perform the procedure without any imperfections but will also support the patient through the recovery process. More than anything a natural undetectable result will depend on the natural artistic talent of the surgeon. The renowned Hair Transplant Center In Chandigarh appoints highly trained hair transplant surgeons so that the entire procedure can be carried out effectively and with the best possible natural undetectable results. Whether the hair transplant center has the reputation to carry out hair transplant process successfully. Whether the center has hired only experienced hair transplant surgeons with artistic talent to perform FUE hair transplants. These simple things will help you in finding the best hair transplant clinic in Chandigarh.